MARQUETTE — After a four-set triumph over the nation’s top-ranked team on Friday night, the Northern Michigan University volleyball team carried that momentum into Saturday afternoon with a three-set sweep of Bemidji State in the Wildcat Open at Vandament Arena. The win, 25-18, 25-22, 25-23, kept the Wildcats’ record unblemished before a nighttime match against another Minnesota school, St. Cloud State. 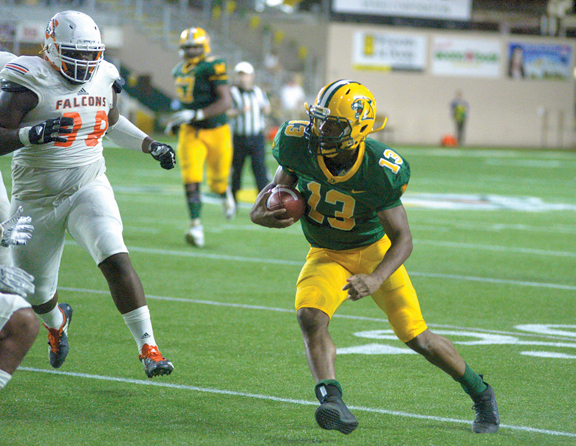 NMU improved to 8-0 after defeating St. Cloud, 25-15, 25-23, 22-25, 26-24. Friday’s big victory came against the No. 1 team in NCAA Division II, Minnesota-Duluth, which also lost to Michigan Tech earlier that day. 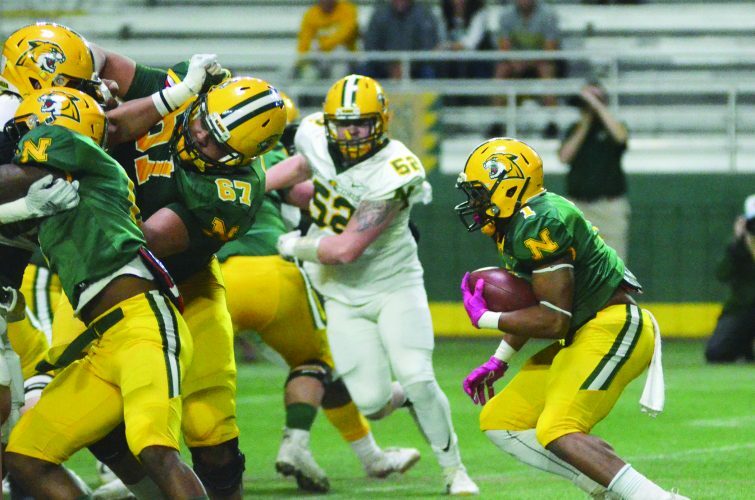 NMU head coach Mike Lozier said despite his team’s fast start, Northern is still learning and improving every day. Since other teams will also be working on their games, it’s necessary to keep pace. Lozier added that the Wildcats need to keep their foot on the gas during a match when they are up two sets to none, like they were against the Beavers on Saturday afternoon. “We talked about it and it’s something we’re keenly aware of,” he said maintaining an aggressive stance. “I think it’s natural instinct being up 2-0 and I think to do that we need to try to do everything a little better. The Wildcats got the first point of the Bemidji match on a kill by sophomore outside hitter Leticia Antunes. The Beavers followed up with consecutive points from freshman right side hitter Mary Campbell and an attack error by Antunes. 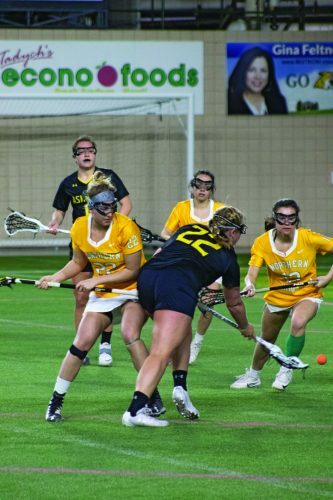 The score remained within a point until the Wildcats went on a mini run to go up 9-6. 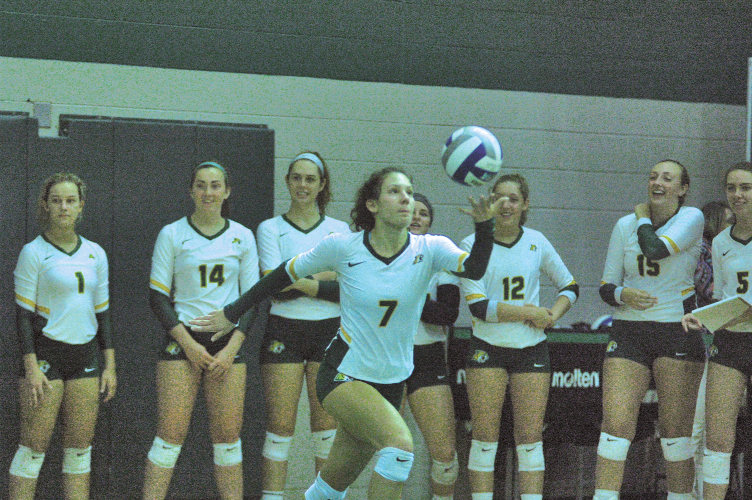 Their biggest lead of the opening set came when junior middle blocker Sarah Kuehn made a kill to put NMU up 20-12. Bemidji pulled within four at 21-17, but the set ended on a kill by Antunes. NMU used a five-point streak to grab an early lead in Set 2 that included kills by Antunes and sophomore middle blocker Cierra Martinez. They built the lead to 20-11, and while the Beavers came back to pull within two, Antunes again made the set-clinching kill. The Wildcats fell behind late in the final set, but overcame the deficit with three straight points on a service error and two kills by Kuehn to knot the score 23-23. The streak became five points that ended the match when Svoboda and then Kuehn got kills. Kuehn led NMU with 16 kills while Antunes finished with 11. Senior outside hitter Autumn Monsma added nine kills while fellow senior outside hitter Maggie Liebeck had eight. Senior setter Lynzi Svoboda led the Wildcats with 40 assists, while Braunschweig had 13 digs, Antunes 12 and freshman Alli Yacko 10. The Beavers were led by sophomore outside hitter Anna Averkamp with nine kills as Campbell had eight. Freshman setter Maddie Mackinac had 30 assists for BSU. Following Saturday night’s match, NMU hits the road for its first GLIAC matches of the season at Lake Superior State on Friday night and at Saginaw Valley State on Saturday afternoon. The Wildcats return home to face Michigan Tech at 7 p.m. on Tuesday, Sept. 11.